Ron has been the most helpful, knowledgeable, honest, prompt, and patient realtor along with my first-time home-buying journey. When we visited houses, he pointed out what he saw and stated his opinion honestly. He was very patient with my questions and concerns, and always did research to address my thoughts when he did not know the answer. I felt lucky to have him as realtor for my first home. Nothing is better than having someone with way more knowledge and experience to tell me as is. 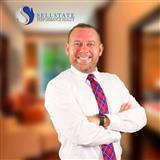 I highly recommend his service, and will definitely ask him to be my realtor in the future! - River H.
Thanks so much Jon for getting us this great deal! Buying a house has never been this easy! 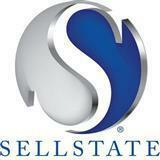 – Kelly R.
Ron Herms and his team at Sellstate did an excellent job assisting my family in finding the perfect home for us. We gave him our criteria and price range, and then he did most the rest. He made time to fit our very busy schedule and was always there when we needed him. When we finally found a house that was exactly what we wanted, he fought tooth and nail to get us the best bang for our buck. In the end, we got a great home at a great price that included a state of the art warranty at no additional charge to us! There is no way that could have happened without Ron!!! - George S.